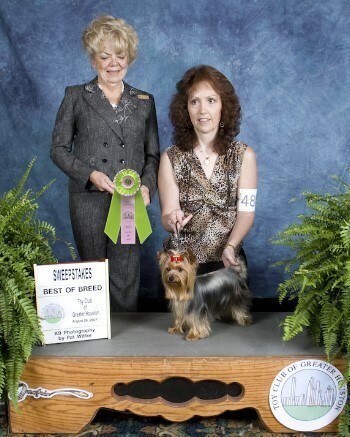 at the Toy Dog Show in Houston on August 26, 2007. Her pedigree is the same as Max's. More pictures on the Judges Corner. Counter added to this page on September 1, 2007.